Corwen and Dee Valley Archaeological Society was founded in order to research, promote and share the rich archaeological heritage of the Dee Valley and surrounding area . It is the aim of the society to research and record through desktop studies and fieldwork the archaeological landscape of the Dee Valley from around 5000BC through to the post medieval period . The earliest surviving monuments represented in the Dee Valley are the funerary monuments Tan y Coed, Cynwyd, being the best preserved example and probably dating to the earlier / middle neolithic . Surveys undertaken by CPAT / Clwyd Powys Archaeological Trust indicate that certain areas were favoured as what we term Funerary and Ritual Landscapes . This is apparent in the Llandrillo area with the occurrence of stone circles, tombs and reference to a cursus monument . The landscape for whatever reasons which are lost to us held deep significance for the people who lived here in the Neolithic and Bronze Age . The chambered cairns and stone circles represent a ritual landscape of archaeological importance and worthy of further research, investigation and analysis. 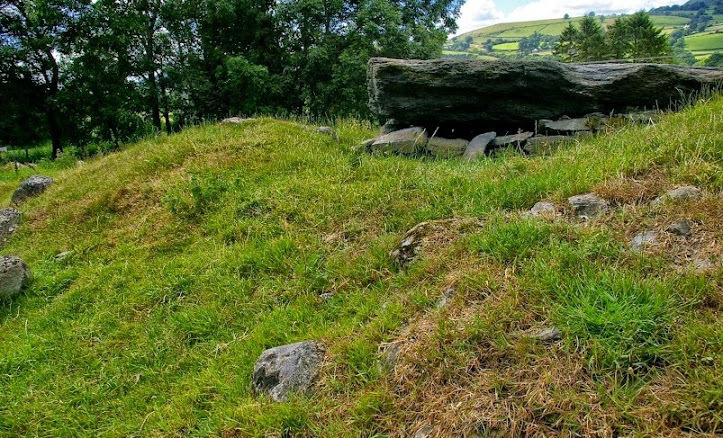 This entry was posted in Uncategorised and tagged Bronze Age, Cairns, CAPAT, Chambered Cairn, Clwyd Powys Archaeological Trust, Cursus, Dee Valley, Funerary, Monuments, Neolithic, Ritual, Stone Circles, Tan y Coed on 19th Nov 2014 by Llangollen , Corwen and Dee Valley.